Vegan MoFo, Day 18: CHOCOLATE! Not just chocolate, friends. Chocolate and pumpkin! It’s October. Pumpkin is mandatory. 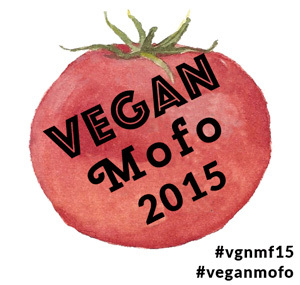 Vegan MoFo 2015, Day 1 – Breakfast! Good morning! Okay, it’s not morning. But it was when I made this breakfast! I thought about doing a fancy breakfast, or an involved breakfast, or a showy breakfast, or even a vegan take on a traditional Americana breakfast (my favorite! ), but I ultimately decided to make and photograph (and eat) a usual weekday breakfast. Indeed, if you already follow my Instagram, you’ve seen variations of this breakfast before. 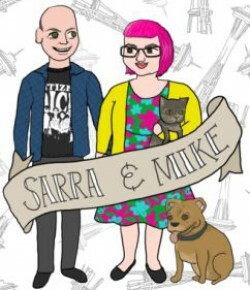 Neither one of us has a big morning appetite, and Mike is a big bread-lover, so weekday breakfasts are usually something starchy and an excellent cup of coffee – well, an excellent cup of coffee if you’re me; Mike waits until he gets to work to have coffee, so it’s 1) not good because it’s 2) Starbucks.